Are you too scared to make a bold move? I read an article this week in Inc. magazine about a young CEO who decided to take a year-long sabbatical and leave his company in the hands of his management team. The CEO, Jared Heyman of Atlanta-based Infosurv, opted to focus on a few of his life goals rather than stay tied to his desk and his work. That’s a pretty bold move – one that requires a willingness to let go of a need for control and a desire to focus on yourself. Another bold move is one taken by the man set to become mayor of my city, Ernie Davis. He was the mayor for 12 years before being defeated four years ago by a rival. As this election year approached many people thought it was insane for him to run again – “Don’t humiliate yourself again,” they said. “And anyway, you are too old to run for mayor and win.” Throwing caution and naysayers to the wind, Ernie stepped forward and ran for the office that he had lost. His bold move required him to shut out negative talk, trust his gut, and tap into a support network. Many would say that Steve Jobs’ life represented a series of bold moves. His bold moves required a strong belief in the power of his ideas, a desire to do things differently – and better, and unwavering dedication to his vision. An acquaintance of ours decided to get rid of every television in his house and shift his family’s entertainment and time together away from electronics and toward more interaction and connection. His bold move required an ability to go against the grain, face the disappointment and emotions of his children head-on, and focus on what he saw as most important for him and his family. It is hard to decide on a bold move and actually act on it. There are so many messages telling us to play it safe, accept the status quo, stay with what we know, don’t stick our neck out, and above all, don’t fail. But making a bold move calls for the opposite – rejecting the status quo, playing in the unknown, sticking our neck out, and being perfectly OK with the possibility of failure. As T. S. Eliot wrote, “Only those who will risk going too far can possibly find out how far one can go.” That’s the essence of a bold move. What bold move have you made? 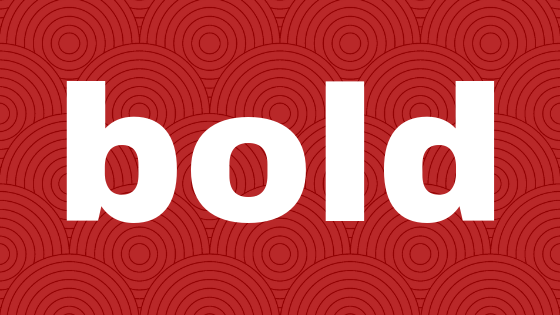 What will be your next bold move? Share it with us on our blog. For help in making your next bold move, contact Robyn at rmcleod@chatsworthconsulting.com. Very nice piece on bold move makers! Thank you so much for your feedback. Glad you enjoyed the post. I took a quick peek at your website and look forward to visiting again to try out your Readiness Assessment. I gave myself permission to succeed or fail as an artist. I quit playing it safe trying to work and advance at a corporate job that I hated. I was too scared to see the ocean because I was only focused on the sand. Great to hear from you! And thank you for sharing your bold move with our readers. I love your analogy of the sand and ocean and I’m happy to hear that you decided to dive in. I wish you the best and look forward to hearing about your future appearances.